Now you can turn your WordPress blog into a fully functional online photo gallery while still maintaining all of the features of a normal blog. In addition to the gallery layout, DeepFocus comes with a robust blog and CMS-style homepage as well, making it an amazing solution for artists, photographers, and creatives looking to build an online presence with impact. Tweaking your blog has never been easier. With the advanced theme options page, you are given complete control over your theme and its various settings. Improving usability is important to ElegantThemes and they have made every effort possible to greatly enhance your user experience. Designing and organizing your posts is a snap using ElegantThemes’ large collection of shortcodes. Quickly create beautiful and complex layouts with ease, while greatly improving the functionality and variety of your content. DeepFocus theme has been localized for easy translation. Using the theme’s MO and PO files, you can quickly translate the design without having to hunt through the theme’s PHP files to change each word, (if you’ve spent any time doing this with your own WordPress themes already, you will realize how invaluable this feature really is). If you don’t have any way of ensuring the longevity of a well-designed theme, what is the point of making the purchase in the first place? Rest assured that as long as you are a member of ElegantThemes, your theme will always be compaitble with the latest version of WordPress and that their tech support staff will be there to assist you. If you would rather not use the abbreviated post structure, you can instead select the optional blog-style layout. When enabled, your posts will be displayed in full like a traditional blog. DeepFocus utilizes timthumb to automatically resize your thumbnail images. Because of this, only one thumbnail image is required per post despite the various thumbnail sizes used in the theme. With DeepFocus, you can place 125×125 banner images in your sidebar and 468×60 ads to your post pages with ease. Advertisements are handled from within wp-admin and can be turned on and off at any time. 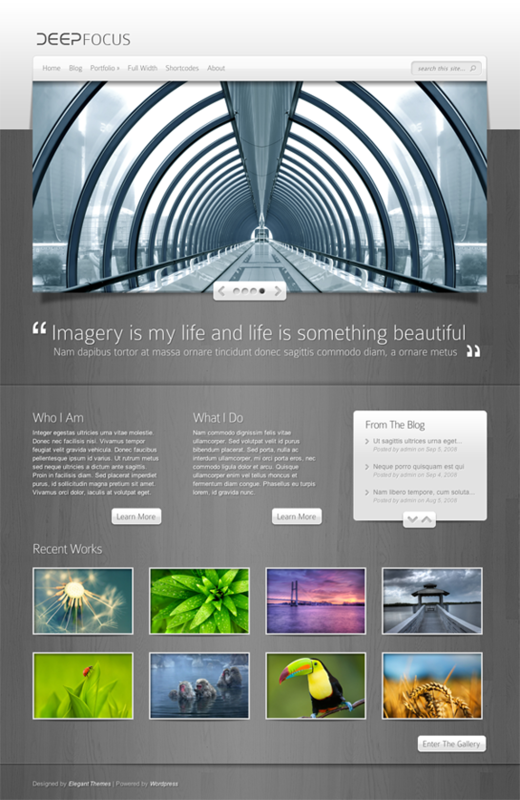 Includes the entire ElegantThemes club — truly a best deal in premium WordPress themes! 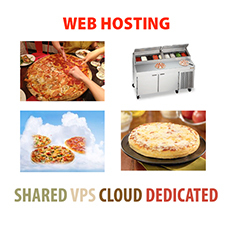 Shared, VPS, Cloud or Dedicated – What’s Right For You?